Eyebrow (Vasilis Zafeiropoulos) was born and raised in 1992, in Trikala (Thessalia), Greece. His true passion for electronic music has been manifested since his young years in several bars and shopping centres in his howmtown where he worked as a Dj. He attended the A2 Dj Music Workshop seminar in Thessaloniki,Greece through which he stand out as a Tech House Dj exactly which his musical influences spring from. 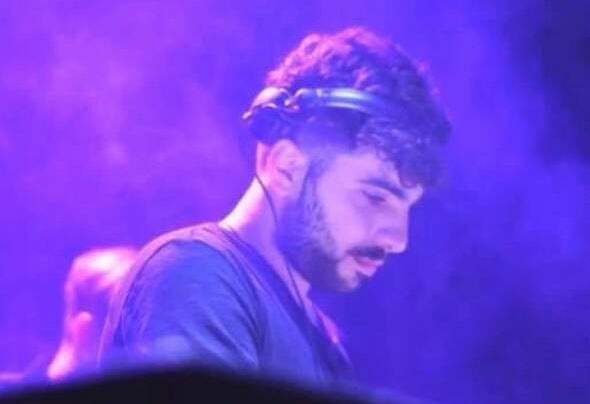 Furthermore, he has worked as a resident Dj in a number of bars and pubs in town, namely: Allegro Pub, Public Music Bar, Splice Cocktail Bar, Κρύπτη (Kripti). He appeared as guest to several music events in other cities too, such as The Real Rock 'n Rolla (Thessaloniki), Stairz Bar (Mykonos), Republic και Del Mundo (Volos), Pnine (Larisa) and many more. At the same time, he participated in a pan-Hellenic competition called City in the Mix 2017 in Thessaloniki where he was selected for the top five! A crucial moment in his career was his performance in the Out Loud festival when he worked with great electronic music artists (miss lefki., g.pal, Gus&Bonso, Toni G). He also holds his own radio show in Upradio 88.6, Athens. Equipped with great zeal and aspirations, Eyebrow is expected to release his own tracks very soon by record companies. Brace yourselves!